January is a rich month when it comes to giveaways, here on Fashion and Cookies !. I am pleased to announce that we have teamed up with the trendy accessories online boutique alltherageonline for a lovely giveaway: 2 followers of this blog will win a $35 gift card each ! Isn't it nice ?. alltherageonline sells beautiful necklaces, earrings, rings, pins and bracelets and I am sure you will find something you like there, I sure do :-) !. This giveaway is open WORLDWIDE is starting today until January 30th !. To enter this amazing accessories giveaway you have to follow the simple rules you find below and fill the Rafflecopter form, as ever !. NOTE: If you are taking part in another active giveaway, you MUST fill in the Rafflecopter for this one, too, and be sure you are following ALL the compulsory rules, thank you !. Two winners will be selected randomly with Rafflecopter, then the names and contacts will be given to Alltherageonline and also announced on the blog, Twitter and FB. Good luck everyone and happy shopping !. 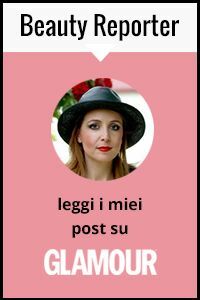 Ciao grazie per il tuo commento! ora ti seguo spero ricambierai! a presto! So fun to have you with these great giveaways! Thank you dear Vale! Vale io non partecipo ai giveaway per via della normativa ma sta robina qui mi garba e non poco e te lo condivido su FB e twitter!! sasamascloset.blogspot.com.es and thanks for your comment on my blog! Btw, join my giveaway for win jewelry from efoxcity.com!